Has NEVER gotten one right. On the open prairie, with no noise except the air (3 mph wind, phone placed on a fence post) could not identify a Bobwhite literally 25 feet away. A red winged blackbird literally 30 feet away. Those are just two examples of how I’ve wasted my time and money. I keep trying but I will finally delete it because it is so frustrating. 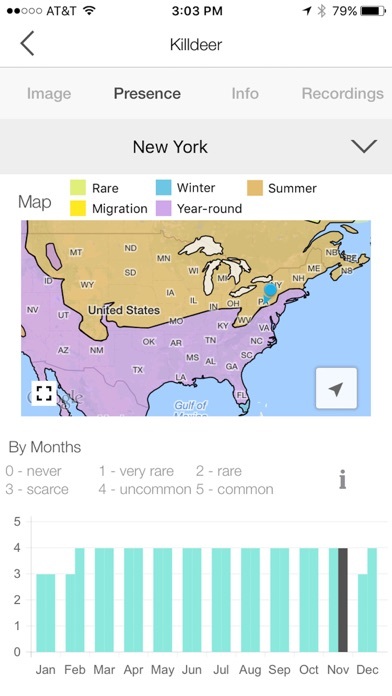 This App would be fantastic if you could move your GPS around if working with recordings instead of out in the field. Not worth the money. Crashes when I change a setting. 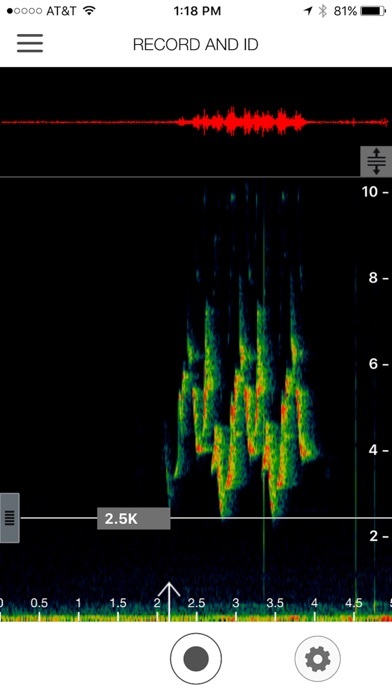 The app identified pileated woodpecker alarm call as a bobwhite quail after careful selection of the sound on spectrograph. Identified mallard quack as a grackle. The only call it got right was northern cardinal. Oh, and when I try to display the FAQ from the menu I get a Not Found error. I will keep trying though, and look for updates. I like the way it captures a couple of seconds before you press the record button. 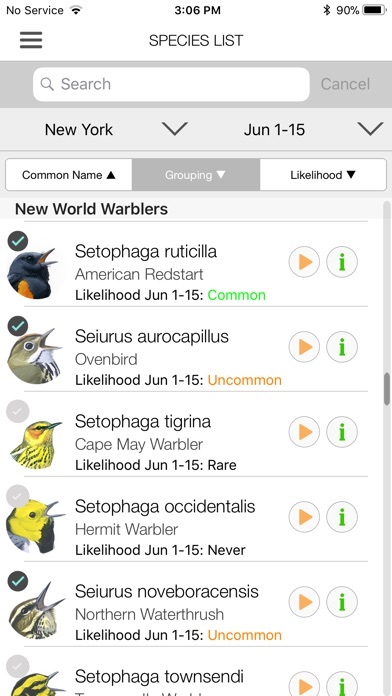 Within species listing, I'd prefer birds listed by common name. As is, sorted by scientific name which has larger font than common name listed below it. I emailed question how to sort to common name, reply was my question not understood. 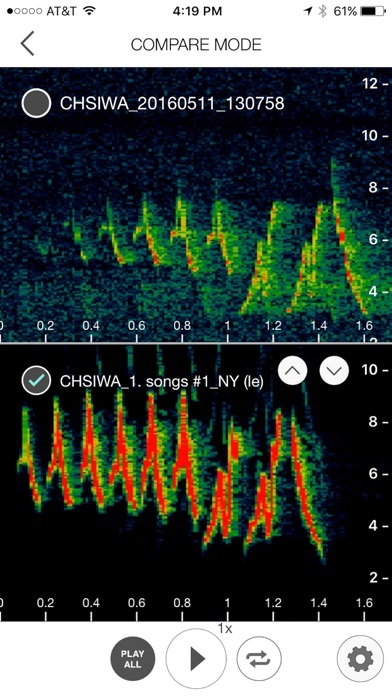 YouTube tutorial sub-par/disappointing, especially regarding the spectrogram. 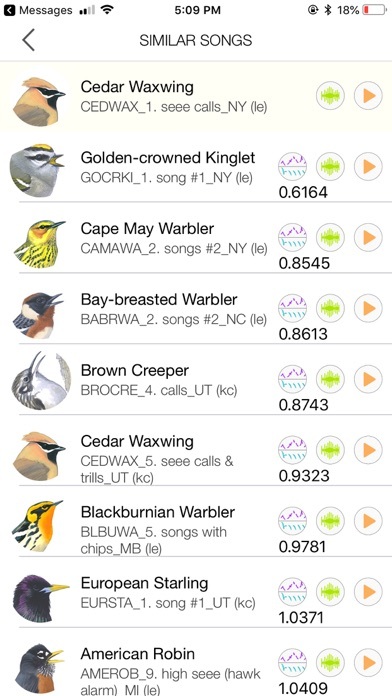 I purchased app to get specific loud bird call in neighborhood but app just picks up sub chatter and results are most often house finch with two uncommon birds. Perhaps with more usage I will improve but definitely not worth $10 dollars, in my opinion. Maybe need to use an external microphone. You must be absolutely still in handling the phone/iPad. 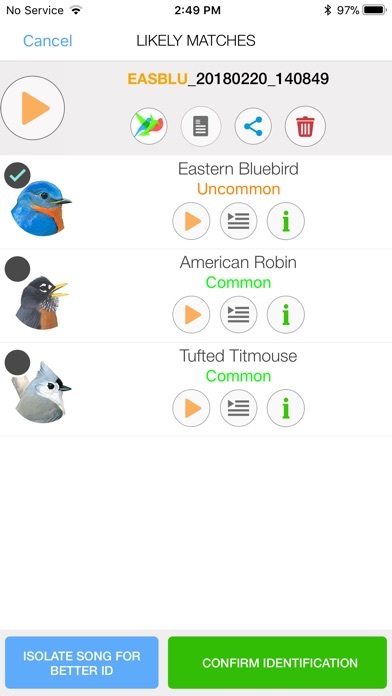 I tried playing songs from the app and listening with the app on another devise and it didn’t pick the correct bird. Sometimes I think there may be some database problems that need resolved. Have you tried testing as I outlined above, you should be getting near 100% success. 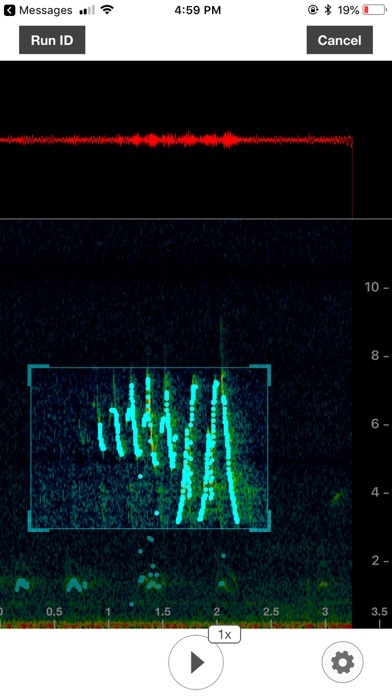 Of the many recordings I’ve made with this app, it has gotten maybe two right. I’m extremely disappointed with this purchase. Chickadees and cardinals are distinctive birds, both readily identifiable by sight and song. 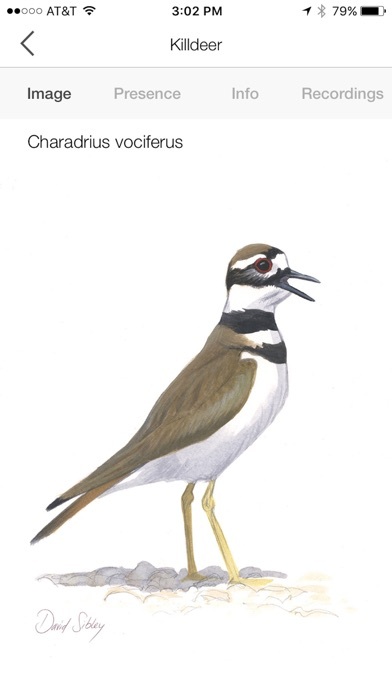 The app told me that a chickadee was a blue jay and a cardinal was a brown headed cow bird. Wasted my money. The idea of the app is absolutely brilliant! However, it is highly inaccurate. 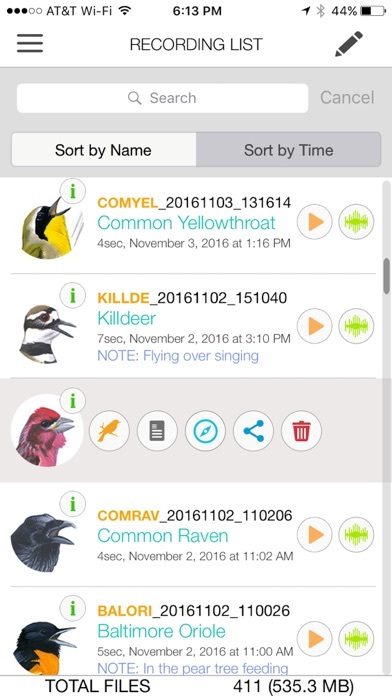 Every bird I would try to record, would say squirrel and list birds that were very in correct.